The pornographers would like nothing more than to pollute and corrupt the minds of every child living on Earth. However, some parents and teachers are fighting back. Kerry County, Ireland is moving in the right direction. Let’s applaud their efforts. A SCHOOL in Kerry has introduced a ban on smart phones and social media apps outside school hours,with the full support of parents. In less than a week since smart phones were barred, parents had already noticed an improvement in their children at Blenneville National School near Tralee. The school has initiated the 11-week pilot programme after “issues” with messaging groups outside of school with children in sixth class. The content of some of the groups in which the children were involved shocked parents and teachers. Inappropriate material was being circulated between pupils aged 11 and 12 and the children were involved in groups which contained older teenagers. Parents and teachers were very surprised with what was going on. “They were very taken aback and surprised with what was going on,” Terry O’Sullivan, school principal said. The school is a digital school, and uses ipads as educational tools, but all technology is used under supervision, Mr O’Sullivan stressed. Comment and content in Snapchat and Instagram group messages had shocked teachers and parents, the principal told Radio Kerry. A meeting of staff, parents of sixth class children and the Board of Management took place last Thursday night. Consensus was reached between parents and the school that, going forward, children won’t use smart phones or social media applications on any devices or computers outside school hours. He said he’s seen firsthand the damage unsupervised access to the internet can have on children. 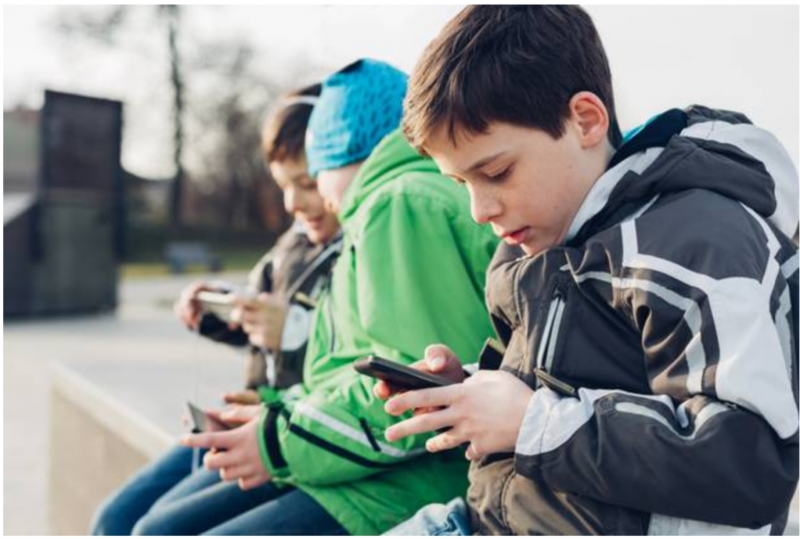 He also warned that while eleven and 12 year old children were involved in the apps the age of children using smart phones was lowering all the time. Children were accessing apps a lot younger, now, potentially in second class, Mr O’Sullivan said. Older children from secondary school were on these app groups and it was not appropriate for children from primary school to be in the groups. What the school had done was try to work with the parents and to meet again after the eleven weeks to see if there was a change in the child. There is a ban on smart phones in school already . Pressure is on parents to buy smart phones to access apps and the ban coming from the school in conjunction with parents actually eased decision for parents who were fully behind the move. “We are not anti-ipads. You have to embrace the digital era. We use ipads here in school… But they must be monitored, they must be supervised,” the principal said. A lot of children have ipads in bedrooms and they should not have them unsupervised. Mr O’Sullivan said in years to come this era would be looked back upon as a very dangerous one for children. Even since last Thursday parents reported an improvement in children’s mood and behaviour. Children were more active and were engaging in board games and other social activities, they told him.